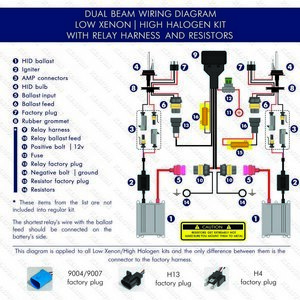 You have purchased a Kensun HID conversion kit. 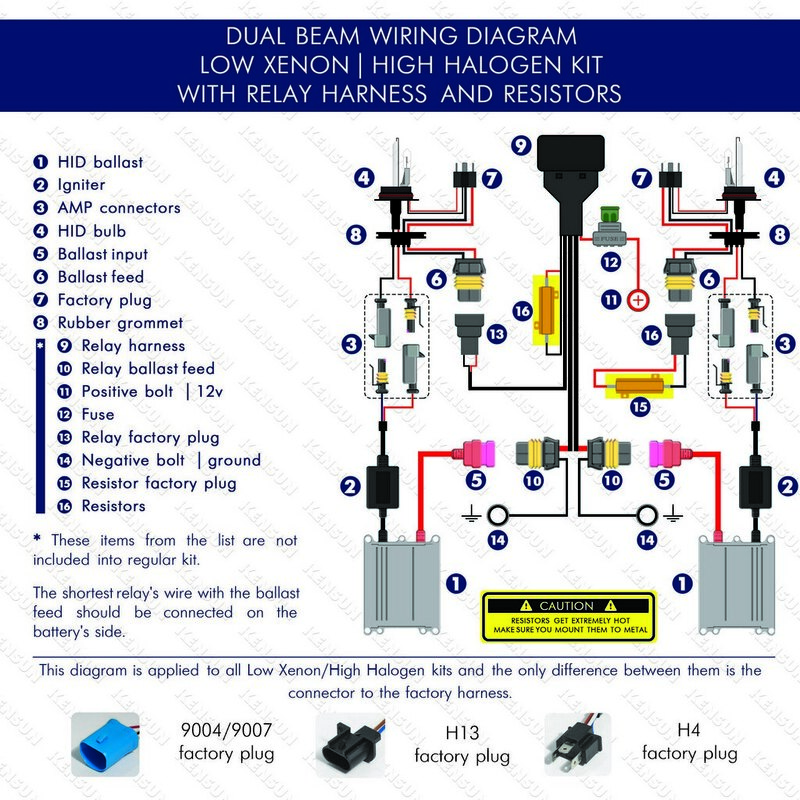 All you need to do is to install it and start enjoying the good look and excellent visibility. 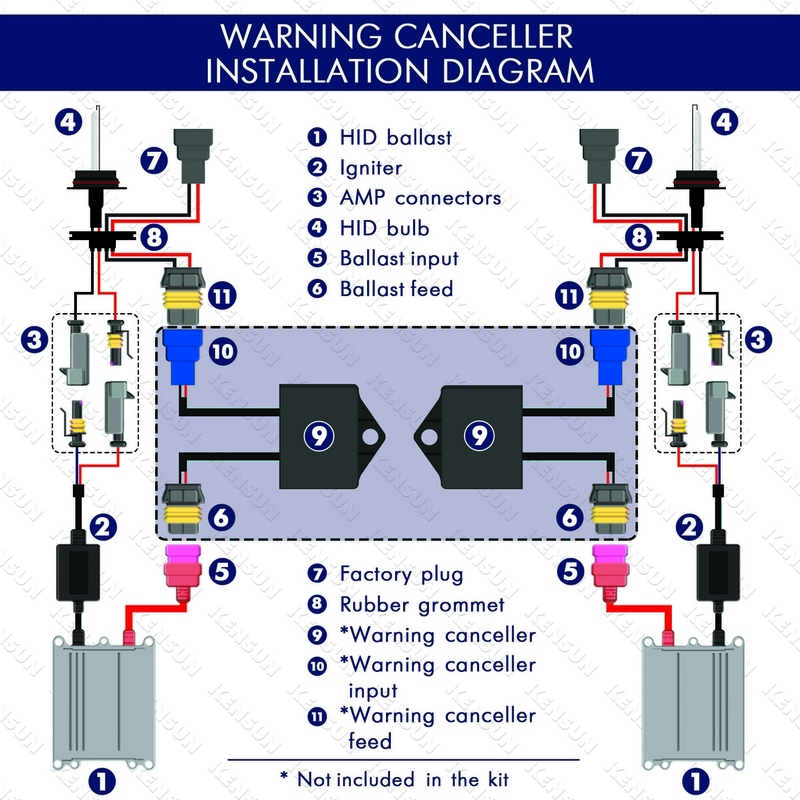 Please read all the warnings before installation to avoid personal injury and damage to your vehicle or to the HID system. 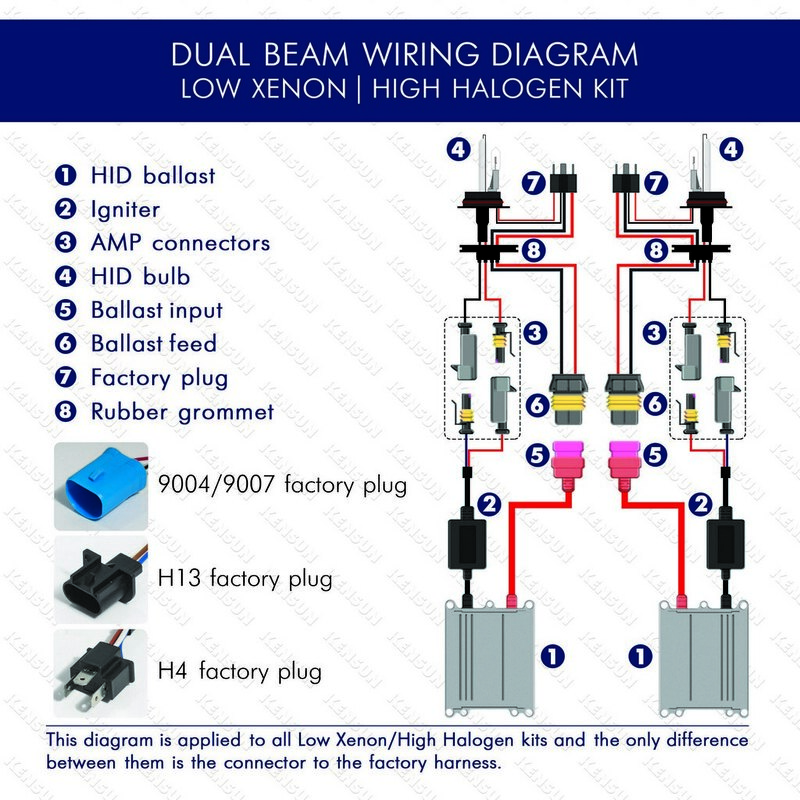 Remove your existing halogen bulbs from the vehicle (refer to your vehicle's owner's manual for instructions). 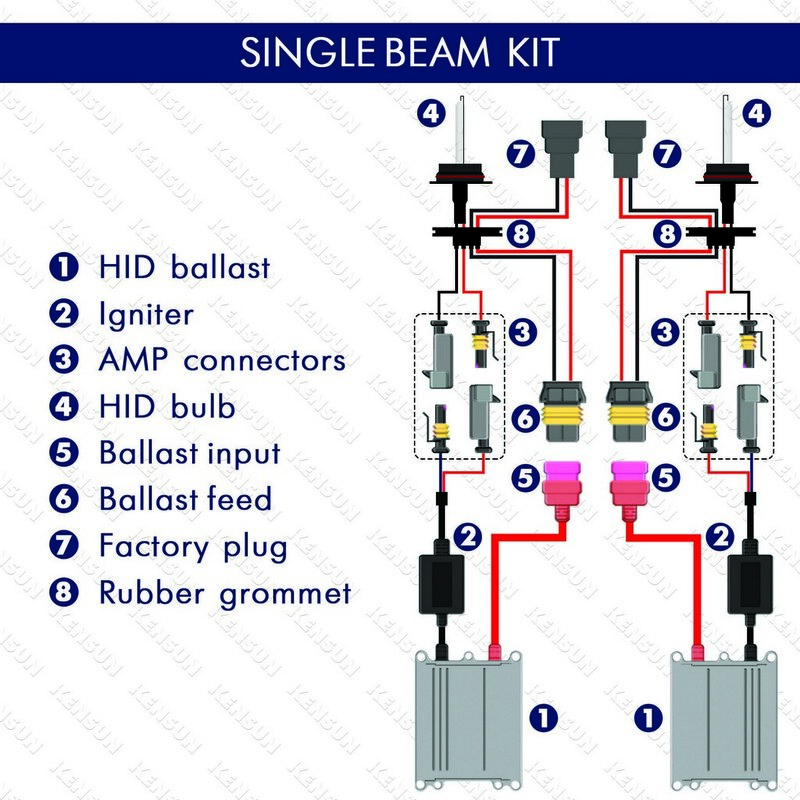 Some vehicles require more work than others due to their unique bulb housings and may require the headlight housing and bumper to be removed during installation. 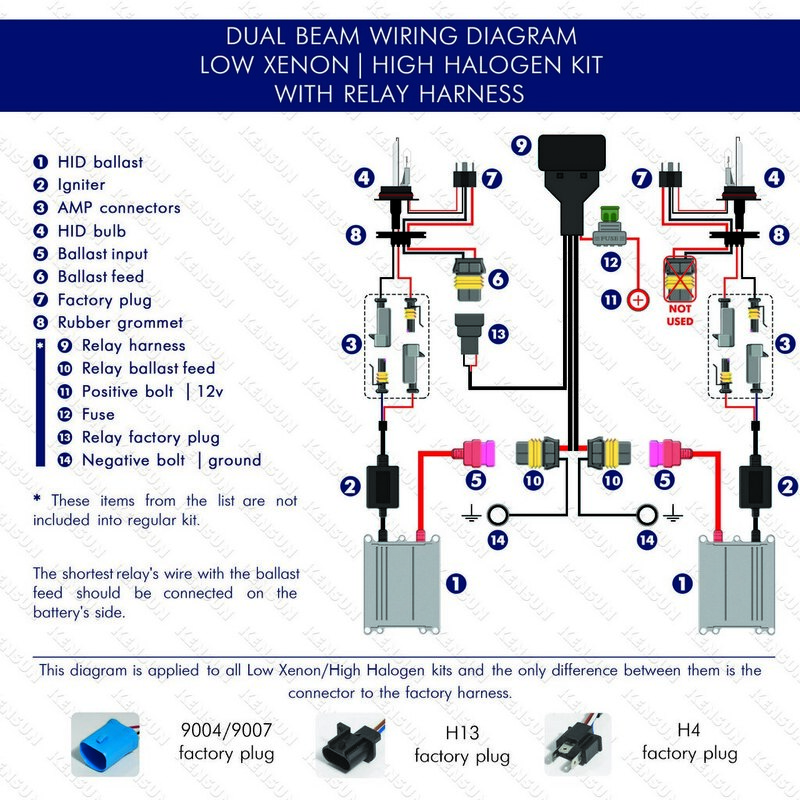 Drill a one inch hole in the dust cap and use the rubber grommet (supplied with single beam kits) to seal the hole or replace with something equivalent to ensure a good seal. 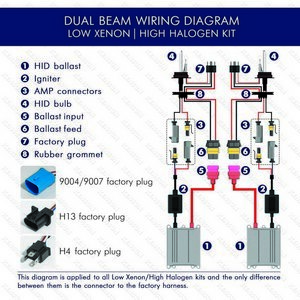 Install and secure the HID Xenon Bulbs in their place. 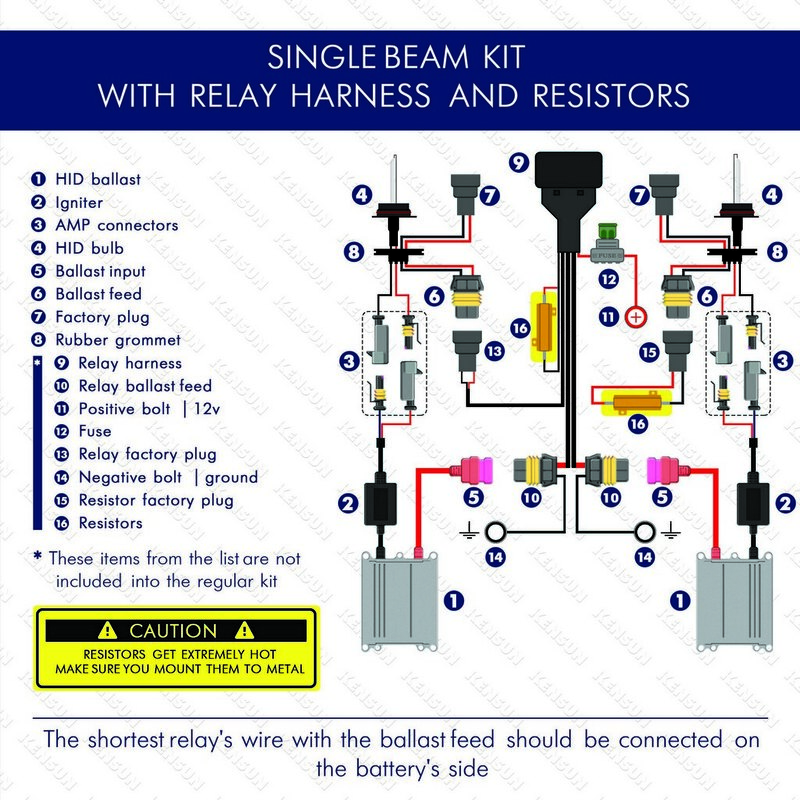 The bulb should sit where the original bulb was and the bulb connector connected to the bulb or relay should go to the original bulb plug. Seal the headlight housing with the dust cap. 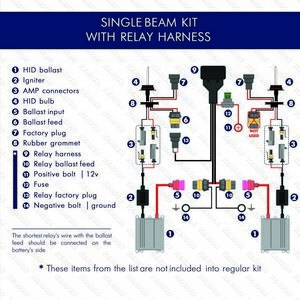 Assemble brackets on to the ballasts and mount the Ballasts to a solid and well-ventilated location under the hood near the headlight reflector. 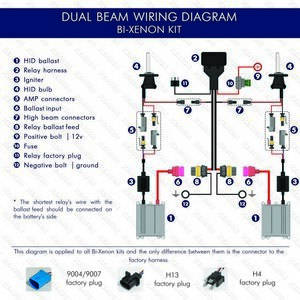 Allow the necessary distance for the base connector to reach the bulb. 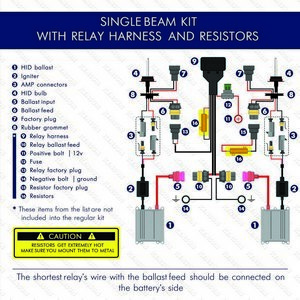 Mount the ballast away from moving components, such as A/C or power steering pump. 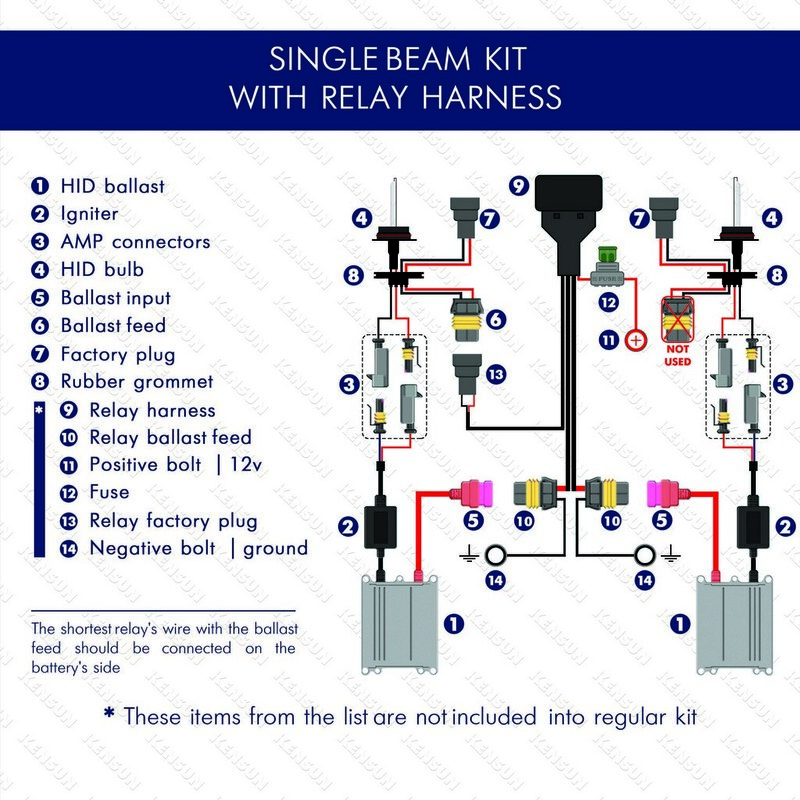 Connect all the plugs from the ballast to the bulb as shown in the diagrams. 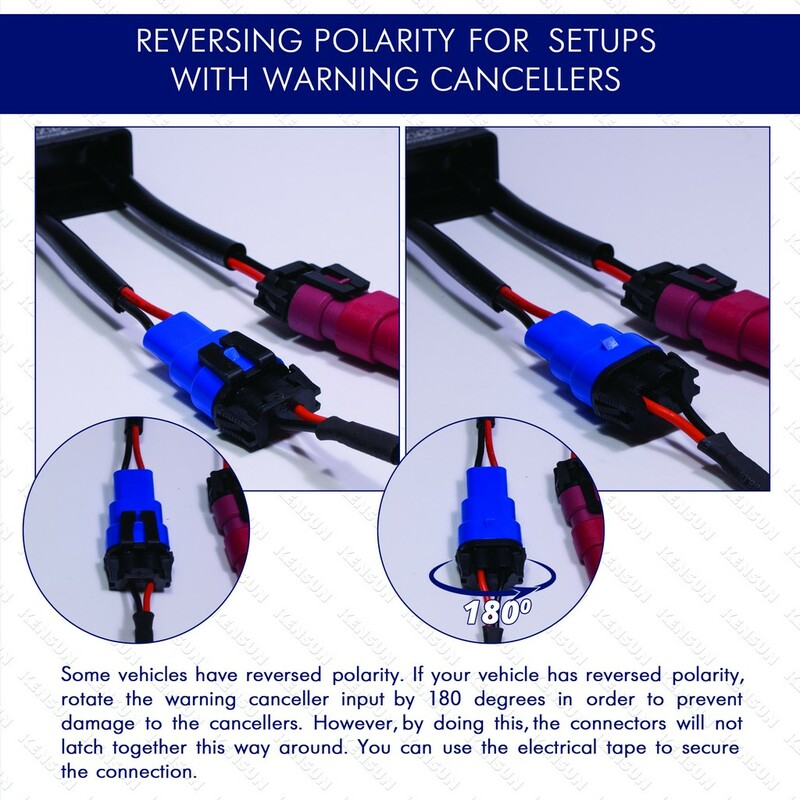 Ensure that you get the polarity correct. 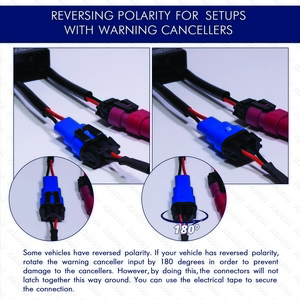 HID lights do not work with reversed polarity. 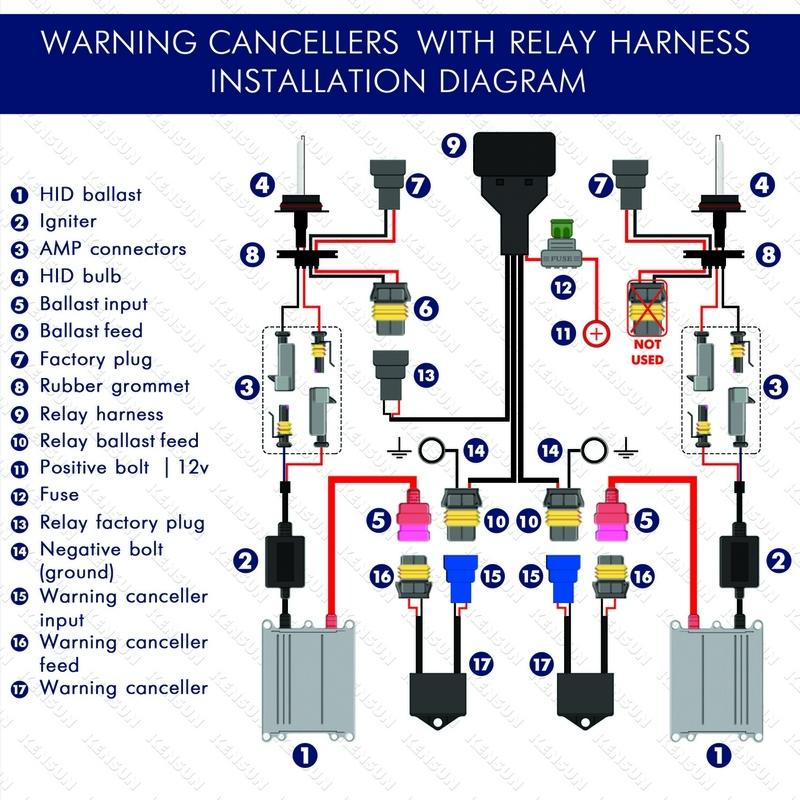 Make sure the plugs are securely placed and that it is firmly intact. 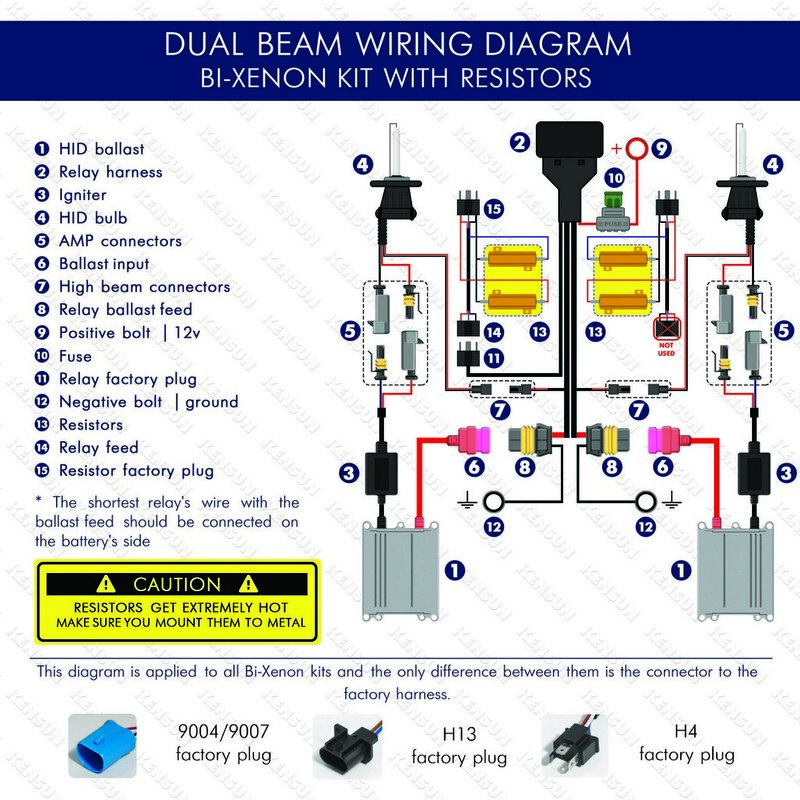 If you have a bi-xenon kit; you should connect the ballasts to the relay harness. 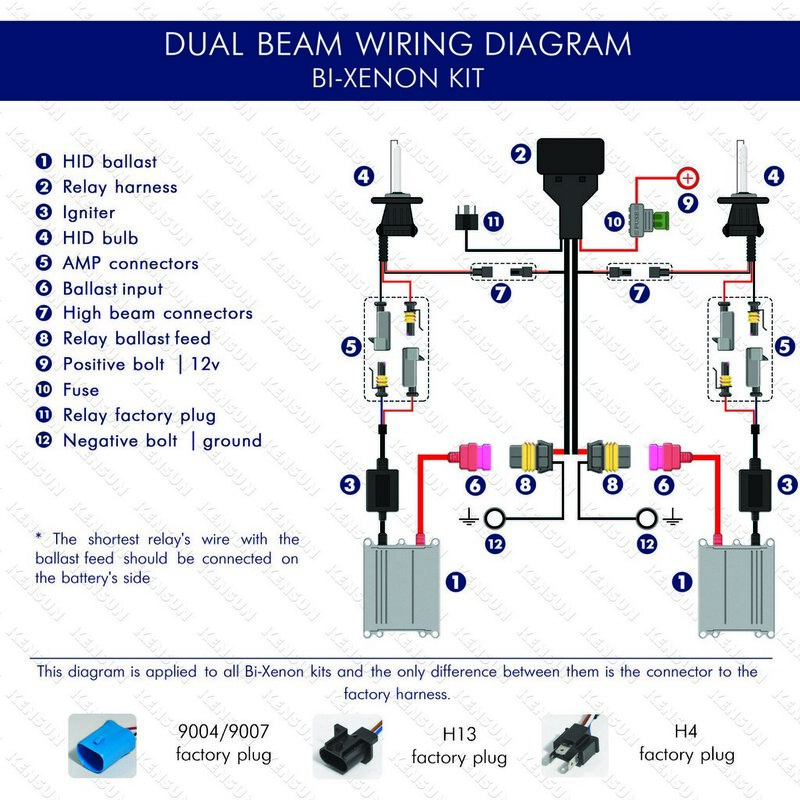 If you have a Bi-Xenon kit, connect the grounds to the car body and connect the power wire to the positive terminal of the battery. 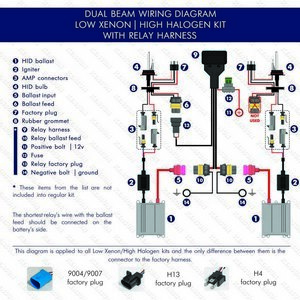 Connect the relay plug to the vehicle's factory headlight socket. 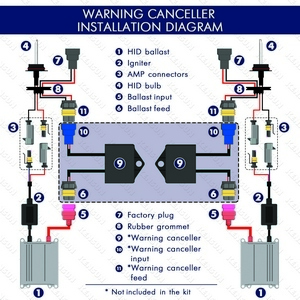 You will only use the factory socket on one side. The other side should be left empty. It is easier to use the plug on the side closer to the battery. Tie all cables in place. You can use zip ties to secure the wiring harness. Make sure no moving object or heat producing object is near them. 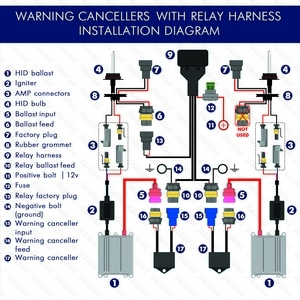 Confirm that all components are fastened properly before operation. Test your lights to make sure that they are working correctly. Allow the light to be on for 10 minutes, this is just a simple burn in procedure. 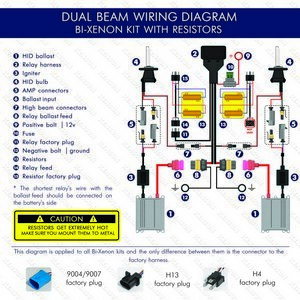 Enjoy your new Kensun HID lights. Wear gloves and avoid touching the glass on the headlight bulb. Touching the bulbs with your bare fingers may cause premature failure of the bulb. 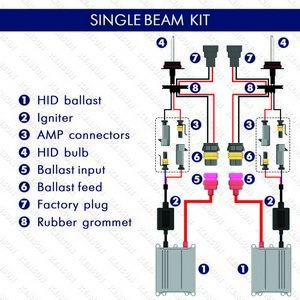 Oils in your skin or dirt build-up that occurs in your engine bay can cause hot spots on the glass envelope that will result in considerably shortening its life to only a few seconds or to a much shorter lifespan than if you had not touched the bulbs, and may even cause the bulb to burst. If the bulbs are dirty, use rubbing alcohol to clean the bulbs; do not immerse it in any liquid. Remove all packaging. The bulbs come well packed to avoid breakage during shipping and all packaging materials should be removed. Some bulbs have a plastic "o ring" to hold the bulb in its protective cover which also needs to be removed. If you try to get the bulbs in and the do not fit, check to see if you left any of these protective materials on the bulb. If you need any assistance or have any questions, you can contact or customer service team here or call us at 212-933-9119 and we will be happy to assist you.